They seek out people who are easily fooled and manipulated ... then try and get them onside to publicly defend them. There are networks of known vets that puppy farmers use, who they can rely upon to write glowing reports and stand in a witness box to defend cruelty when there is lots of money to be made. It's hardly surprising that we always see the same few vets appearing in court alongside their puppy farm clients, willing to provide 'expert evidence' to avoid losing an income from their clients. With the new legislation in Victoria, many puppy farmers are moving interstate to continue their cruelty in a state with weaker laws. This is why we continue to campaign for national consistency following our success in Victoria. One such couple is convicted criminal, Kerrie Fitzpatrick and her partner, Colin Ross. 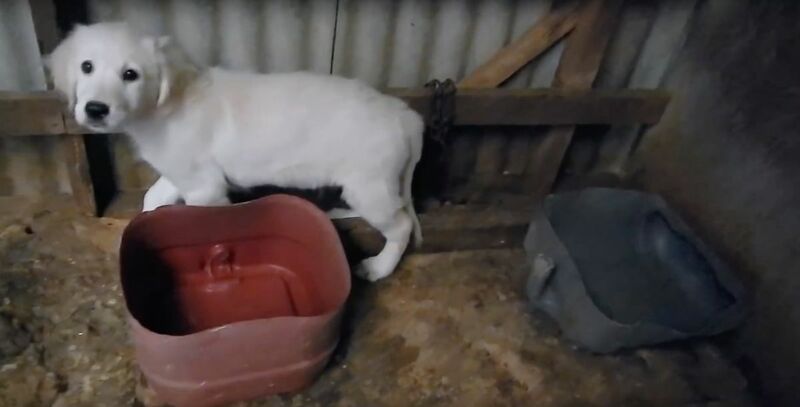 In May 2015, Kerrie Fitzpatrick was found guilty of 68 charges relating to the Domestic Animals Act and fined $40,000 with a conviction recorded. Dogs were found in appalling and inadequate conditions, as well as being kept in undersized pens. Fitzpatrick also admitted in court that she did not pay tax on the income she earned selling puppies, making her a tax evader as well. RSPCA seized all the dogs. After this court case concluded, Kerrie and Colin bought another property - 550 acres in Bridgewater, Victoria and simply started once again. In February 2017, Kerrie Fitzpatrick was again back in court, this time facing 41 charges relating to the Domestic Animals Act. Council had found dogs of various breeds with inadequate water, living in faeces-covered pens and with various medical conditions. Fitzpatrick was convicted and fined $45,000 and ordered to pay $13,206 in court costs. She even had the hide to appeal the case, however she lost. In July 2017, Fitzpatrick was again convicted of cruelty after 36 dogs were seized from her property in 2015. 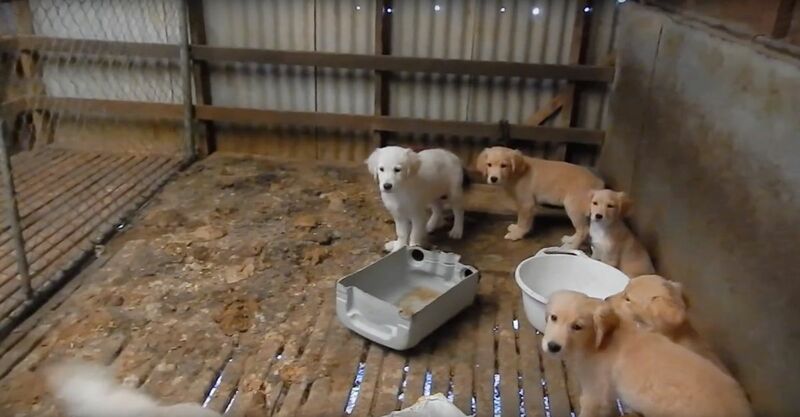 The dogs living conditions were appalling and many dogs suffered severe psychological damage due to lack of handling, poor living conditions, and lack of socialisation. Fitzpatrick refused to surrender the dogs and actually fought to keep them. However, the court imposed a 10-year banning order and the dogs were all eventually rehomed. Colin Ross has also been to court numerous times and is currently on a good behaviour bond in Victoria in relation to charges laid by RSPCA Victoria in yet another separate matter last year. Both Fitzpatrick and Ross eventually had their memberships suspended by Dogs Victoria. Colin Ross and Kerrie Fitzpatrick once again relocated, this time to South Australia. Between them both they now own 20 properties. Banning orders and court imposed orders issued in Victoria are not recognised interstate - a loophole that allows convicted cruel puppy farmers to move interstate once convicted in order to start again. It wasn’t long before we started getting complaints of desperately ill puppies that had been purchased from Colin Ross, Kerrie Fitzpatrick and at times, Kerrie’s young daughter, Stephanie. Some of these puppies were so unwell and psychologically traumatised (resulting in a range of behavioural issues), their owners had to face the heartbreaking decision to euthanise them. Fitzpatrick and Ross have recently started to breed French Bulldogs along with their usual Border Collie , Golden Retrievors, Corgi's and Labrador pups, presumably because they could ask more money for 'Frenchies'. They currently have on the Trading Post website, under multiple names and phone numbers, $49,105 worth of ads for puppies for sale. This includes French Bulldogs, Border Collies, Golden Retrievers and Labradors. This type of advertising is repeated on a regular basis. They may have to dip into their tax free earnings now however to pay for their lawyers to defend them at yet another court case in South Australia. 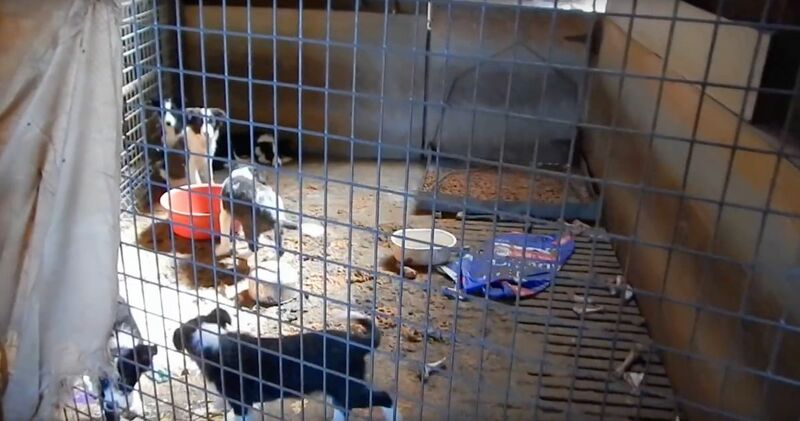 RSPCA South Australia have recently seized a number of dogs from Fitzpatrick/Ross SA puppy factory that has over 300 dogs and once again, this cruel and greedy pair are before the courts. As we have seen from all of their past court cases, Fitzpatrick and Ross will likely be planning on fighting the charges. No doubt they will also be seeking out people who are easily fooled or wilfully blind with a hidden agenda to try and assist them gain whatever public support they can muster. This support will likely come via social media through propaganda, distorted truths and outright lies. Loopholes that allow convicted puppy farmers with court imposed banning orders to relocate interstate, must be closed. In this particular case, you can email the Minister and request that the current legislation be amended in order to recognise court banning orders from interstate. We will keep you updated on the South Australian court case. On March 29 at the Supreme Court of South Australia, Colin Ross failed in his bid to regain control over the dogs seized by RSPCA SA. We are pleased that the courts dismissed his appeal and that the dogs won't be taken to a "third party breeder at Mr Ross's expense" as the courts heard.